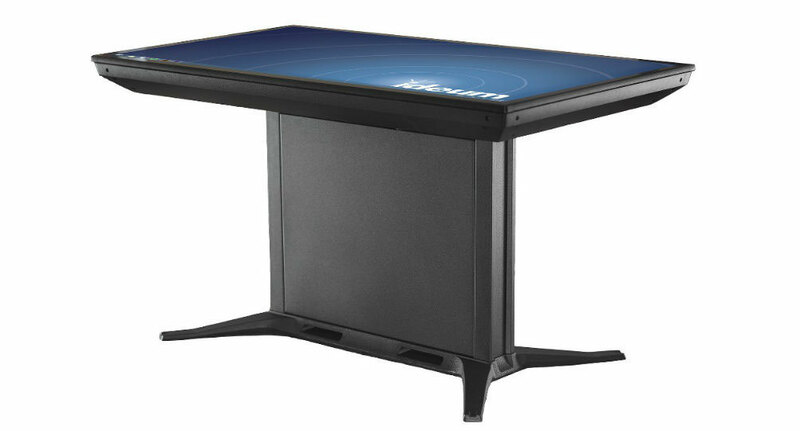 Easy-mount casters make moving touch tables easy. 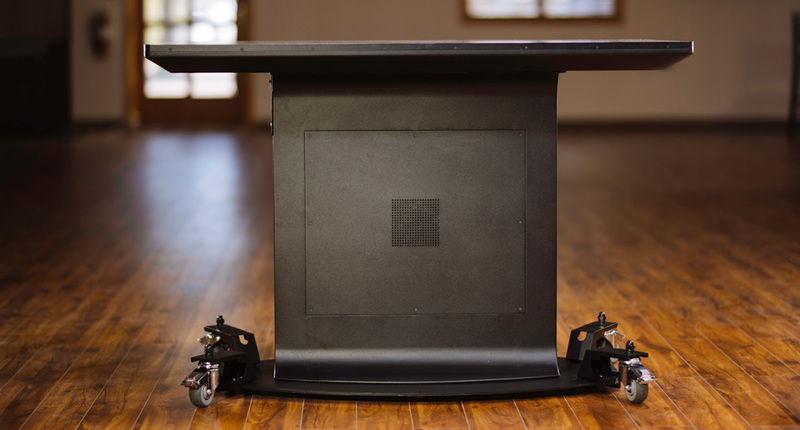 This fall, we’ll be rolling out a brand new upgrade option for our multitouch tables: removable caster mounts. 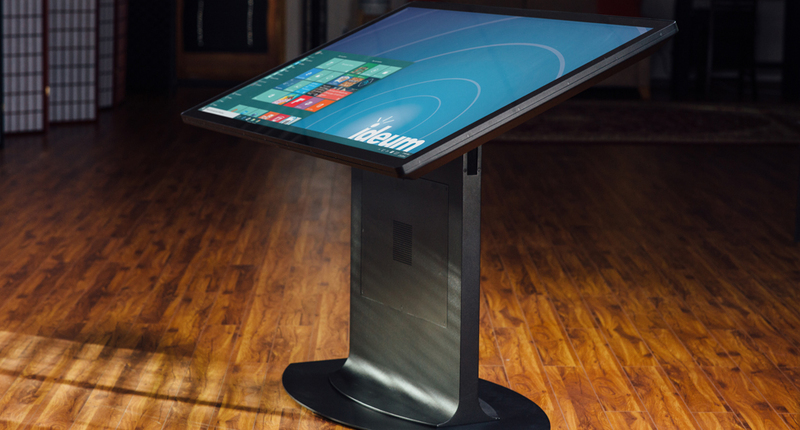 Designed to fit our full line of touch tables with the exception of the 86” Colossus, these sturdy and stylish mounts will make it easy to rearrange your space to accommodate additional exhibits or optimize visitor flow and lighting. 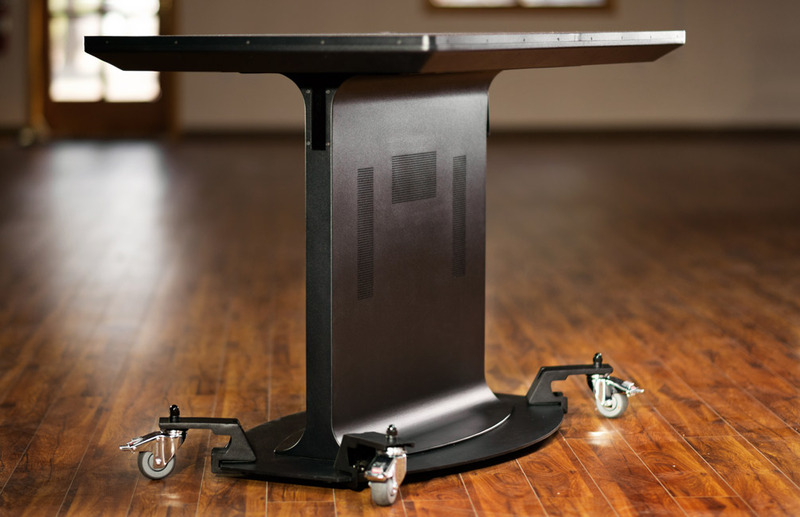 Previously, Ideum clients seeking a mobile version of our tables could purchase a customized table with a caster base plate. This option required additional manufacturing time and could significantly increase the table’s price. Our new caster mounts clip securely onto the sides of our standard table base plates and do not require extra time for custom fabrication. They’re simple to mount and remove and can also be rotated inward for a smooth, clean look. In addition, these lockable mounts add only a minimal rise of 0.88 inches to the height of the table. This keeps the table’s center of gravity low and maintains stability and safety in public spaces.